At Boyum Law Firm, we strive to help our clients smoothly transition their assets, big and small, to their heirs. After all, we know how valuable family mementos and heirlooms can be. Take the conference table in our office, for example. The seemingly unimportant table has a long, storied history dating back from generation to generation of Boyum relatives. The table first belonged to Lowell E. Boyum, my great-uncle. Lowell was born in Harvey, North Dakota on February 28, 1921. He was the second son of Peter A. Boyum and Manda Martinson Boyum. My grandfather, Arne S. Boyum, was the oldest son. Lowell practiced medicine in Harvey first with his father and then with a medical group in the Harvey Clinic, which began in the 1950s. 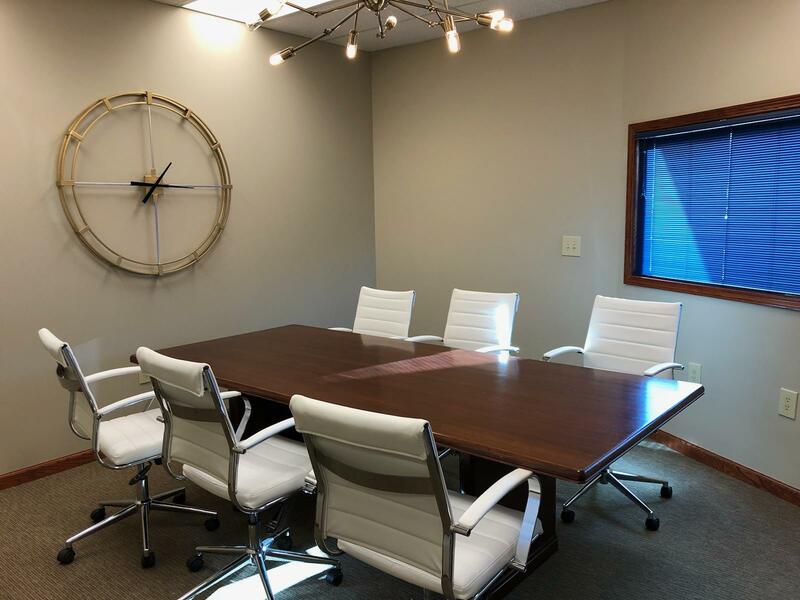 The conference table that now resides in our office originally sat in the clinic’s library and conference room. The table remained in Harvey until Lowell delivered it to his nephew, Arne F. Boyum Jr., who is my father. My father went on to use the conference table in his law office in Rolla, North Dakota. In October of 2018, he and my mother, Janie Theel Boyum, delivered the table to me for use in my law office. Now, the clients I work with every day take a seat at my family’s table. They sign estate planning documents enabling them to transfer assets and mementos of their own to their heirs. Seeing a little piece of my family’s history in my office every day reminds me of the importance of creating tailor-made estate planning documents for my clients. It reminds me of the “why” in my work and to make every day count so my clients and their heirs can build a legacy of their own. Someday, I hope to pass the conference table down to my children so they, too, can take a seat at my family’s table and remember their grandparents and all who have come before. Boyum Law Firm can help with your estate planning, Medicaid planning and probate law needs. To contact Boyum Law Firm, click here.